14900 square meters of land located only 4km away from the the town of Caccamo. 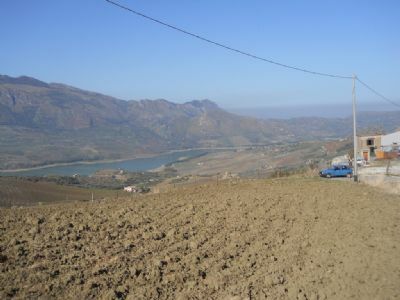 The property has breath taking views of the lake, sea, mountains and of the town of Caccamo itself. There is an old semi demolished building on the land which would be advisable to do a total demolish and rebuild a total new building of 300 square meters on two floors. 150 square meter ground floor garage/ storeroom.